Earlene Sesker has served as an accessibility specialist at the Access Board for over 20 years where she provides technical assistance to the public on its accessibility guidelines and standards. Her responsibilities include providing expert technical assistance and training on accessibility guidelines and standards under the Americans with Disabilities Act Accessibility Guidelines and the Architectural Barriers Act (ABA). This includes the 2010 ADA Accessibility Standards and the Architectural Barriers Act Accessibility Standards. Earlene also oversees the Board's training program, fielding training requests and organizing training sessions and webinars, among other program duties. The Board regularly conducts training on its accessibility guidelines and standards upon request at various events and conferences across the county. 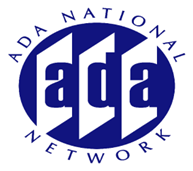 In addition, it conducts a monthly webinar series in partnership with National Network of ADA Centers.